At the International House on Chestnut Street near the University of Penn's campus in Philadelphia, we had just watched a short film, part documentary, part drama, “A Drop of Life,” about a small town in India with a big drinking water problem. 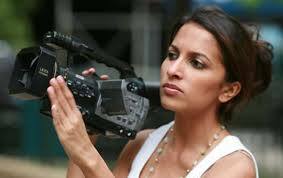 The award-winning film about the global water crisis was directed by the woman behind the podium, Shalini Kantayya. She is an environmental activist with a big heart and even bigger desire to ameliorate some of the more intractable issues of our time through movie making. This was her second film, but I got the sense, listening to her rattling off statistics as if they were the names of beloved family members, that Ms. Kantayya had been thinking about water long before beginning her film career. Flint Michigan children have elevated levels of lead in their blood today because the governor enforced the City’s cost-saving measure in 2014 to switch their water draw from the Detroit River to the Flint River. That river was 19x’s more corrosive, not only creating a serious drop in water quality but also an all-out breakdown of the distribution system. The entire state of California was required by Governor Jerry Brown to reduce fresh water usage by 20% to combat a severe, decade-long drought. Those are just a few examples. The world is littered with many such facts. Seriously life-threatening facts, and no one is immune, even those who deny facts and science. Kantayya’s message is simple: “We’re on the edge of a storm,” and need to act now. It’s time to “think outside the bottle,” and remember that water is “a shared right that we are not just owners of, but stewards of more importantly.” The film maker believes that one starting policy needs be to end privatization of drinking water supplies globally. Since 2010, the cost of clean water has risen 48% in 30 major cities, yet corporations continue to extract water for pennies on the dollar. Soon supply will be unable to keep up with demand. Pushing the responsibility off to the lower level states and counties is, in fact, irresponsible because these governments simply don’t have the manpower, technology and resources; they can’t affor d it. Kantayya says it’s time to hold both the national governments and large corporations accountable if we are to keep up with trends and changes in an ever greater demand for water based on a growing population that strives to an uplift in quality of life and their rights to safe water are guaranteed by the commons for the commons. So how do we make the leap to empower the commons and guarantee this right to safe water? First we need innovations — like the water purifier created by the inventor of the Segway, or the poop straw that instantly purifies contaminated water, or an aquaponic fish farm. Next, we need to invest in and re-design our aging infrastructure; Our infrastructure needs hundreds of billions of dollars to repair and replace broken pipes, reservoirs, pumps and towers, across the country. Third, we need a women’s movement because women are always at the heart of any movement on sustainability and history shows that when women get involved, change for good of the commons happens. Finally, we need to realize that sustainability doesn’t come at the expense of jobs, rather the opposite — $188 billion in water infrastructure will create 1.3 million jobs. C-3PO: Sir, the possibility of successfully navigating an asteroid field is approximately three thousand, seven hundred twenty to one! Solo: Never tell me the odds! Defying the odds — it’s where Shalini Kantayya lives. It’s where we all need to live.